I don't even need 1 minute to realize how dumb are these changes at sPvP perspective. Imagine those bursty builds (engineer static / mesmer shatter zerk / elementalist fresh air...) which cast 10 skills in a second with this new "sigil of vision". The entire burst is gonna be critical, because they don't need 3 seconds to cast everything. Now imagine firebrand harrier with this new "sigil of celerity". 5 seconds of quickness will become 10. What about +125 ferocity to Rune of Scholar? This is all what the 1 shot meta asked for. Not gonna lie some of these changes are dope, overall I love it lol, I can see some big balance update coming up middle of the season or sooner. the power creep is insane. this is not good. only good change is sigil of concentration imo. that nerf is good. but 5s quickness on disable is like... way too much.. I like that. I can envision nice things to come. I like the overall idea behind these changes, but the numerical values are just too high which is very apparent before these changes are even released. Anet, please consider toning them down! Sigil of Vision should be 1.5 seconds instead of 3 seconds, or keep it at 3 seconds but up the cd to 18 seconds, and Sigil of Celerity should be 2 seconds quickness on 10 s cooldown. What makes you think that the listed changes are for PvP and not split? There are no new runes or sigils being added to pvp with this update. Celerity is an existing pve sigil and Vision is a new pve sigil, so neither of them will be available in pvp. Intelligence will retain its existing functionality and will still be available in pvp. There will be a lot of changes to existing runes and sigils for pvp. We have done some preemptive splits and will be keeping a close eye on everything else with the plan of splitting anything that becomes too much of a problem. I stand corrected. Thank you for clarifying this! 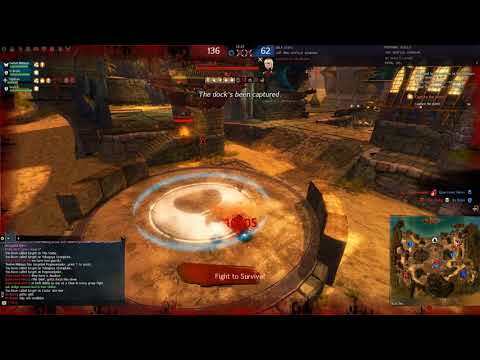 Hi, can you make wvw be treated as pvp too? Thank you. If not, can you reduce damage from wvw by 66% with this patch? Thank you. Playerbase: Help! The game is plagued with braindead damage sources with baked-in invuln rotations that a kindergartner could master. Arenanet: Let's slightly revamp the one part of our bloated gear system that we could probably completely delete without it even having that much of a game-wide impact! Don't cry, this is epic awesome, its always good when we have a big change, so we can have a whole new experience! There is nothing new about this experience. The only change is how everyone will read the patch note list, grab the 1-3 best runes which grant the most damage, CC and/or bonus health/invuln states, and then everyone's inventory will be slightly cleaner. That's the entire big update. The only real change will be to random rune prices on the trading post. That’s cool 😎. Scholar is surely a buff in sPvP. Unless you are playing a 1 shot build. It is good on all sides. The real issue is honestly going to be WvW, where all these new sigils will be in full force. New sigil of vision is basically going to be an absolute requirement on almost every build there. It's just a list of examples and is not exhaustive? Boohoo. Many people have asked for this because if you haven't noticed, most runes and sigils are lost in obscurity because they are hot trash. What? They only gain it for THEMSELVES IF they disable. Overall damage isn't going to be much different, if not lower even. It simply got shifted from all or nothing to having more base line. Runes and sigils are not going to make everybody one shot you even harder than they already do. Whole thing blown out of proportion. Yeah, 5 second quickness soooo OP, every 20 seconds IF you CC somebody. Crazy good. Boon strip still exists as well. ALso, what do you even do with Quickness after you land a CC? Unload your stuff? Huge difference. If somebody is CCd and doesn't have a stunbreak they die, Quickness on you for that or not. Damage overall isn't going up. Playerbase: 90% of Runes and Sigils don't even have TP value! They are useless! Please rework them. Anet: Here, have a rework and new means of acquisition for all of them. You can't make it right for you people. Just wait and see, complain when you've seen everything. You complain if they change things people want, you complain if they don't. It's never enough. Then, whenever it's convenient you pretend like they never change anything. Stop that. I actually like the current Sigil of concentration, I’m actually really sad it’s being changed to only 10%. I would like to second the request to reconsider these changes for wvw. It will devastate the small group roaming community and lead to the death of any classes that cant survive extreme burst from stealth, greatly reducing roaming class diversity while increasing the survivability of those one shot classes, if they dont have to worry about precision as much. Know what's awesome? Full valkyrie one shot builds. All of your favorite current one shot builds just gained 10k hp. Not with 20 seconds of cooldown, blocking or boon stripping it away becomes a high risk for wasting it. It only fires when you successfully disable, so you can't block it. It also means you need to use a stunbreak, dodge, and boonstrip (if it even gets the quickness) to counter a sigil that fires every 20s. It was just an example, as you said stunbreaks will counter and a lot of people use them anyway which will make a quickness burst predictable. I don't think you understand how the sigil is worded man, you only gain quickness when the disable occurs. So if you land any disable, you 100% have quickness for the next 5s to land your burst. You no longer have the option to eat a disable instead of blowing the stunbreak. You have to blow the stunbreak and immediately dodge to avoid some of the quickness burst, losing two defensive cds every 20s because of a sigil. If you blow a boonstrip cd to neutralize the quickness, you no longer have it later to strip stab or resistance to secure a kill. Well from my experience many fights don't tend to last as long as 20 seconds in all honesty.. so at most you'll get to pull off that sigil quickness twice in a straight up 1v1. Unless you're fighting someone who loves to use cheap mechanics like Stealth to buy time. Dodging isn't your only counter though, you could use an evade skill or block to counter the burst instead or return with your own disable burst combo.. there are many options. A warrior with Shield Master could easily turn a quickness hundred blades into a might farm for example. It really just depends on the build, although from what it looks like these sigil/run updates will not be coming to PvP so i guess this is a WvW only issue now. Have you roamed wvw lately? Cheap stealth tactics and burst setups rule that game mode. These sigil changes only make it worse. Now every single one of those stealth burst combos has easily accessible quickness and guaranteed crits, so they can run vales to be crazy tank on top of everything else. I'm glad they removed the 'get [random/useless stuff] when hit (45~90s)'. And reworked runes that may have never Seen the light out of the merchant's bag. I'm always in for new possibilities and more choices. And for wvw it's not like you could not be bursted down in 1.25s already before. Can't wait to see the full list of changes. Please add a / keep the PvP version for the sigils and runes in WvW as well. Im excited also. New sigils and runes means new possibilities! I find it very entertaining to login after the announcement. Check BLTC and find all the millions of 19c runes/sigils are now over a silver in price. Almost thought the announcement was an April Fools Day joke. keyword - successfully disable - if you block, dodge, stablity, blind, etc onto the skill that has CC it won't fire. wih skillfull oponent this may lead to situation when it never fires at all. so saying it will fire every 20s in the very next sentence is not exacly fair. Again, you're not understanding. It only grants quickness when your disable occurs, not on skill use with potential to disable. You can block/evade 3 stuns in a row and the 4th one that connects will grant the quickness. Unless you're suggesting you never get disabled, ever, in an encounter. Which is incredibly unrealistic against any competent player. Hi Cal, am I correct in assuming all current sigils will get updated? Or will we need to do some sort of in-game trade for the re-vamped scholar rune? I will use my crowd control, and i think i'll like it! Not a fan of the rune of scholar change. It's a slight nerf to my one shot mantra mesmer build. By "new" do you mean bringing a new sigil into the game or do you mean chaging the name of intelligence to vision? There should be a WvWvW board. Im tired of zeglings coming here to complain about stuff that doesn't effect spvp much at all. In a scope of single 1v1 fight is not that unrealistic in "most" cases - sure not every disable skill is well telegraphed, but imo more defensive builds will not have much issues with that specific sigil. well if enemy lands disable after you've blown out all your defences to avoid previous disables than I'd say GG WP for that guy. Because either he brought more disables to the table than I expected and timed them properly out (spamming 4 disables in a row would be pretty weak when your build for example had a skill giving you 5 stacks of stab and all 4 went onto this stabs due to how fast they were thrown out) or he preplanned his disable uses properly so his first disable came off cd faster than my defences did. Every thief with trickery 3/1/2 has an instant disable on a 21s CD that steals stab, effectively making it a guarantee to get quickness, vigor, 3 boons stolen (stab is prioritized), gap closer, fury and swiftness to stay on target. Every slb can open from stealth with hilt bash into quickness worldly impact, gl not being one shot. How about lb 4/2 from 1800 range with sic em? All three can open in stealth, there is 0 counterplay. Most players coming out of stealth take 1/4-1/2s to even render on your screen. First off, steal strip 3 boons so there's a good chance the thief would steal retal. Second, retal won't kill a thief that only has to hit you 4 times to kill you, with quickness, from stealth. Going to go ahead and assume you don't pvp much or haven't gotten out of silver yet judging by your lack of class knowledge. Gs mirage is very popular, as is stealth slb. Slb has access to smoke field through smokescale pet and plenty of blast finishers to stack stealth. LB range is affected by height, so if they're on a ledge above you its 1800 range. If you think deeper,they want players to pick more defensive stats and not just raw zerk stat gear because buffing damage means everyone gonna die faster without armor/vitality and other defensive things. So they want you to play more bunker builds with sustain. Problem that arenanet make is: when they buff something they don't balance other things(example:deadeye with perma stealth and not all classes got reveal spell that can counter it). First off, steal strip 3 boons so there's a good chance the thief would steal retal. Second, retal won't kill a thief that only has to hit you 4 times to kill you, with quickness, from stealth. I don't mind the changes. I'm not sure why most people fail to see why the 3 second 100% crit is better than next 3 attacks. Unnecessary sure but still a welcome change. It's good for both sides, cc or evade (with invul. stealth etc.) the attacker at the right time and you completely negate their burst (not THAT much different from before) while the attacker in turn has more options too.